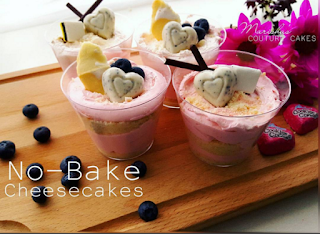 Valentine's Day is this weekend and many of us are looking for those quick and easy desserts that we can whip up in no time. Well you've found one! I usually don't like instant cheesecakes, however this is like no other. It's simple with only a few ingredients - and it tastes heavenly. Feel free to jazz it up with different extracts and flavorings. For the video tutorial & my taste test (along with my mom's) watch the tutorial video above. This recipe is for 4 medium sized cups. If you're making this recipe for two, simply cut it in half. Toppings: Candies, Cookies, Sprinkles, etc. 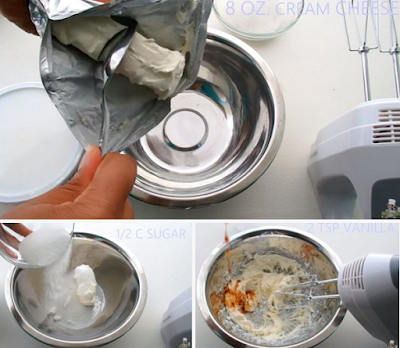 Add the package of room temperature cream cheese, along with the 1/2 C of sugar. 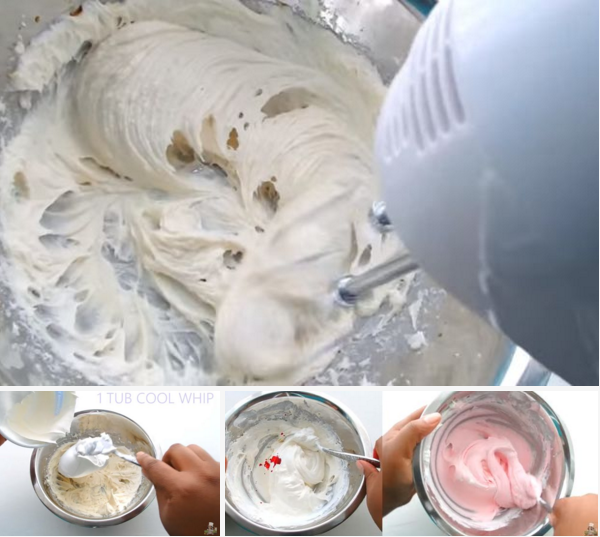 Using an electric mixer, mix for at least 4 minutes to disintegrate the granulated sugar and remove any chunks of cream cheese. Add vanilla extract, and mix for another minute until smooth and incorporated. After the mixture is smooth and creamy, add the cool whip. Mix the cool whip gently by hand to keep it from losing too much air. After a couple of minutes, add 2 to 3 drops of red food color, and incorporate. Add a few cookies and close tightly, removing large amounts of air. 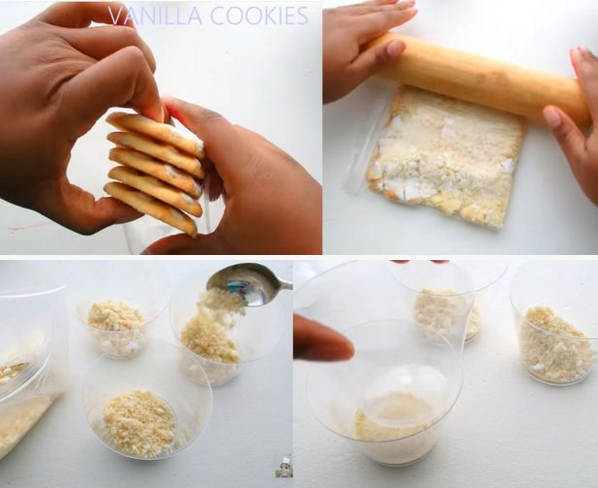 Lay the bag on a flat surface and crush the cookies using a rolling pin. When rolling over the cookies - be careful not to puncture the bag. Place a heaping teaspoon of crumbs into each cup. 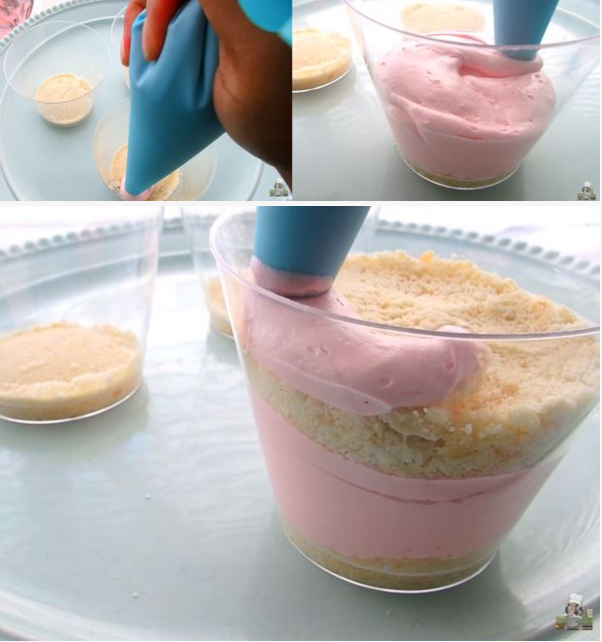 Place an extra cup inside of the dessert cups. Press firmly to compact the crumbs and create a crust. If you don't have a cup that fits within your dessert cup, use the back of a spoon. Fill a piping bag (no tip needed) with the cheesecake filling. Fill each cup about halfway with the cheesecake filling. Then top with cookie crumbs and gently pat with the back of a spoon. Continue to pipe cheesecake filling until you've reached the top. If you don't want two layers - leave out the center cookie crumbs. 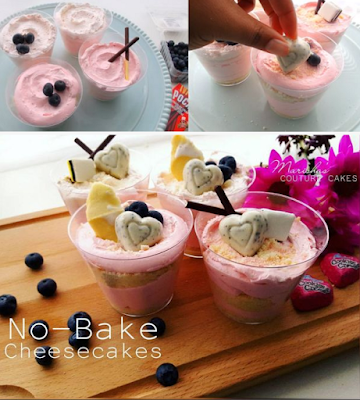 Decorate your cheesecakes however you'd like. 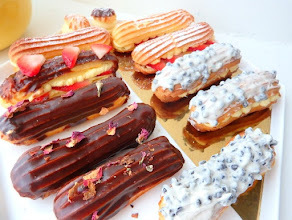 Chocolate drizzles, candies, cookies, fillings, flowers, etc. 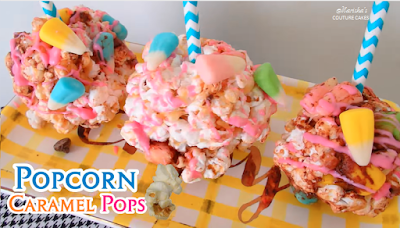 I topped these with Pocky Sticks, Licorice candy, Chocolate hearts, Cookie Crumbs and Cookie pieces. I hope you guys try out the recipe and enjoy! Couture in a Cupcake. Bye Guys!